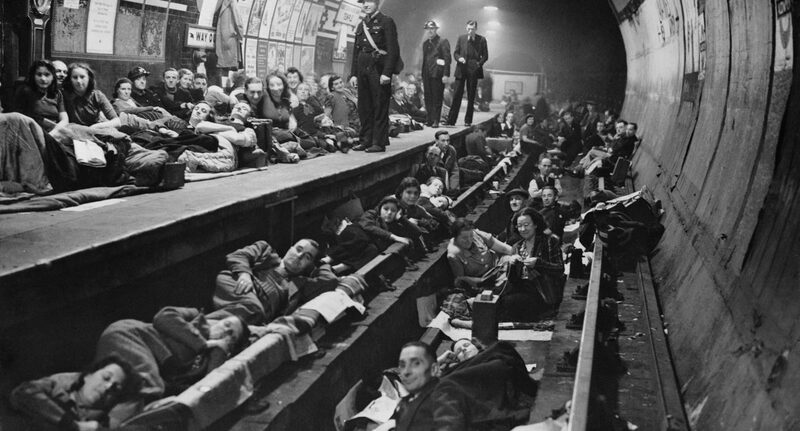 We Must Be Brave opens on an evacuation bus after an air raid on Southampton. “She was fast asleep on the back seat of the bus. Curled up, thumb in mouth. Four, maybe five years old.” This is how the 400 page, decade-spanning story begins. The narrator is Ellen, just eighteen in 1940, and the girl is Pamela – a sleeping toddler unaccompanied on an evacuation bus to the safety of Upton, a small village in the south of England. In a sense the novel never leaves these two characters as they greatly influence every thought and action the other takes. The novel, so the description says, is about the fierce love we feel for our children, and the ability of that love to endure, and this description is partially accurate. Pamela is not Ellen’s child and this is the centerpiece of the story – the conflict faced by Ellen and her husband in taking in a child that is not their own, their growing affection, and their, particularly Ellen’s, fears of the disruption of their new family life. With Ellen’s narration we hear the developments of her thoughts and feelings towards Pamela, her caution at first and then her dread of being separated from her new daughter. The story begins in 1940 but moves through time, first turning back to paint a picture of Depression-era Britain in the 1930s, then forward to the 1970s and the present day, showing the affect of time on people as well as place. I don’t wish to give a full synopsis of the story of We Must Be Brave, but I feel that its starting point might give you the idea that this is the kind of story you might have heard before. In some senses that would be correct; We Must Be Brave falls into becoming a fairly standard Home Front Second World War story with the typical cast of characters – the well meaning and loving husband, the eccentric country house owners, the gossipy women of the village, the humble and honest farmhands – and many of the story beats are going to be familiar to many readers. The story is not unoriginal but strays a little too close to familiar on too many occasions meaning that some plot points, that are supposed to have great emotional intensity, are spotted from chapters away, which rather diffuses their impact. However this is not true for the entirety of the book and the fact that some aspects of the novel seem like a typical World War Two story only helps to sharpen the places in which We Must Be Brave cuts into fresh territory. Through some familiarity it enhances the novel’s differences. For example, the sections set in the 1930s show Ellen’s difficult childhood coping with abject poverty of Britain during The Great Depression, giving the novel a real historical and emotional vitality. With Ellen’s narration we’re able to experience, in real terms, what life is like to be barely making ends meet in a pre-welfare state Britain. There is a slow start to the novel, with some of the dialogue seeming a bit clunky at the beginning, but once the story gets going and the book gets some steam behind it these problems are ironed out producing some very effective prose. This prose produces some great moments where the nuances of emotions, which are often difficult to convey accurately and convincingly, wash forth from the pages and the reader is granted a real connection with the text. However there are some moments which miss the mark. Later in the novel there is a reveal which could have been a lot more significant than it actually amounts to. This is a problem with much of the novel in that beyond a maximum of three characters, two of which are missing from large amounts of the novel, the sub-characters suffer from a lack of development. They are largely one note pieces in a larger scene and they tend to enter the stage, say their limited lines, and then go off leaving no real lasting impact. This is not to say that they are not interesting characters, just that their interesting features are left only as surface level items that are not delved into enough detail or depth to be satisfying for me. While they are in the story they are fantastic decorations on a stunning tableau that the novel creates at times. Following their appearances, the after-effect of their presence is fleeting. We Must Be Brave is an interesting book. It has both the elements of something readers will have seen a dozen times before and new and fresh ideas, branching into areas that have previously been left unexplored. In this the novel can be intensely rich and rewarding to read, despite some of its shortcomings. Readers will find something to like in this novel, held up by a functional story, if a little familiar one. We Must Be Brave is out in hardback in February 2019, with a paperback version available later in the year. A third year English Student.